Your backyard should be your haven. It’s a place to relax, take time to unwind, and enjoy being in the outdoors with your family. You should feel free in your backyard to do activities in privacy and feel comfortable and at home. But what happens when you feel prying eyes looking into your yard? 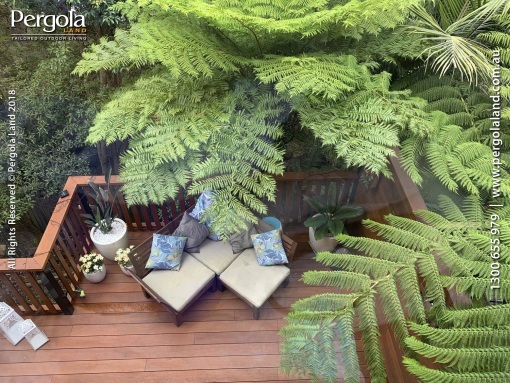 What if you have a public area nearby where anyone and everyone can see into your backyard? That doesn’t mean you have to give up the luxury of backyard privacy. 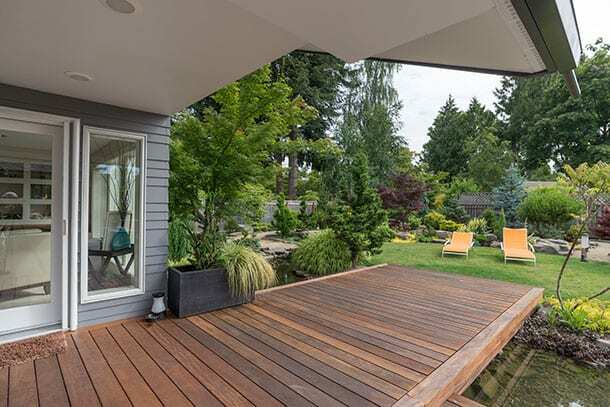 In fact, there are quite a few options that you can take on board to increase privacy while simultaneously adding security to your yard and home. One of the simplest ways to increase privacy in your backyard is to install a fence if you’ve not yet done. There are many different types of fencing to choose from, from Colourbond to wooden picket-style. Before installing fencing, be sure to check with your local council if there are any restrictions on fence heights that may cause issues. Be sure to also consult with your neighbours so as to make sure that your new fence doesn’t block any of their views or lights. If their border sits close to yours, they may also be able to help pay for half of the new fencing. If you already have fencing installed but still find prying eyes peeking through, perhaps you should consider attaching a lattice over the top of your fence, or maybe even growing some climbing plants to create a bush or hedge of some kind. If a fence isn’t ideal, or you already have one in place, another great way to add privacy is by planting some extra shrubs, bushes, and trees. A hedge is a great way to add a screen of privacy while adding more green to your yard. Not only can you keep people out of your yard, but you can also still partially see through the hedge, allowing for natural light to filter into your backyard. This is a great idea for those who want privacy without a large fence blocking out sunlight or outside views. A retaining wall is made of solid and durable materials that can withstand years of use and weather conditions. There are many different types of colours and materials of retaining wall to choose from, so you can really customise the look and match it to your home. Another good point to make is that retaining walls are often a good base from which to grow vines, so if you want a strong and sturdy wall, but still want greenery, growing vine plants on the wall is a good option. Adding shade sails or canopies over your outdoor entertaining area or verandah is another good way to keep the heavy sun off your furniture, guests, and decking. The sun’s rays can really play havoc on your wooden furniture and outdoor decking, so adding the shade or canopy can help to decrease the amount of UV damage caused. As well as this, you’ll be able to enclose your outdoor area a little by providing this shade and adding some extra privacy. This is especially ideal if the surrounding area or neighbours are higher up than your outdoor area (for example, double storey homes). Gazebos are lovely additions to your backyard. They are perfect for relaxing in, or if size permits, outdoor dining with family and friends. Gazebos provide wonderful shade, and if you have insect screening available, can also help to keep bugs and mosquitos away from you while eating and enjoying the outdoors. A gazebo can add a great amount of privacy as most are enclosed, while at the same time adding more options and flexibility to your backyard entertainment. Bamboo is a beautiful addition to any backyard, particularly when planted around pools and water features. It looks magnificent on its own, and because it can grow so densely and quickly, it can also be used as a screening on its own, without a fence required. There are many different types of bamboo, so be sure to research the difference before you go buying. Bamboo can be difficult to get rid of if you change your mind in the future, so be aware of this. It can also grow quite quickly and spread to other areas, pushing other plants out of the way. Be sure to understand how it is properly grown, upkeep, and what to do when you want to remove some of the plant. Pergolas are strong, stylish builds that can add value to your home. Not only do they look great, but they allow you to enjoy the outdoors regardless of the weather. They even have the added benefit of reducing the amount of heat that hits the main parts of your home, helping the rest of your home stay cool in summer. There are a large range of materials you can use to build your pergola, from polycarbonate roof sheeting, insulated roofing, Colourbond, and even a combination. The different materials all offer different benefits, such as UV resistance, reducing heat but still retaining light, and even noise suppression. A pergola could be just the thing you need in order to enjoy the outdoors with additional privacy.